Left Seat, Big Hardware: Is 'Airline Pilot' Still the Wannabe Career for Our Kids? This is the second in a series I'm calling "Av8rdan Asks", in which I lob softballs underhand at some of the people in various aviation professions. Ever since we pilots have been tots, at one time or another, we've all answered "Airline Pilot" when asked what we wanted to do when we grew up. As little kids, we would eye the flight deck of those gorgeous 707s with a gleam in our eyes, dreaming of wearing the uniform, complete with REAL wings, not the cheesy plastic ones the FA gave us when we flew in back with mommy and daddy. O.K., for full disclosure, not ALL young boys dreamed of being a pilot. Known as "Danny P. Dot" (my very first official screen name?) back in 1961, I used to say "garbageman" when asked at five-years-old about my career aspirations. Yeah baby, the thought of hoisting heavy plastic cans of someone's fetid trash onto my shoulder and then dumping it into a stinky, noisy truck was oh so cool. Or not. Maybe it was Cowboy. Or Astronaut. Or Fireman. Whatever. Recently while looking at some dire hiring reports from some of today's struggling airlines, the realization unfolded that I really did not know what the job of "Airline Pilot" is really like. Do you know? Does anyone "in the back" really know? 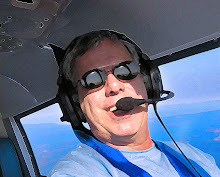 So I put the word out, and Ken Wells, a veteran Captain for Southwest Airlines, accepted my request to be my second candidate in my becoming-quite-popular "Av8rdan Asks" interview series. 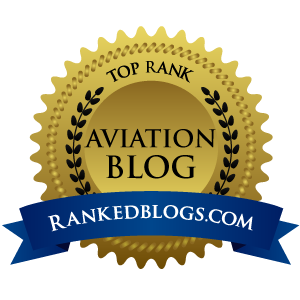 I recently started the series with an interview of Sara Keagle, a Flight Attendant for a major airline, and the results - found here - were very well-received. She helped set up the interview with Wells, which is presented here. The material from Capt. Wells - known as @SWA_Captain on Twitter – was so detailed, I found it hard to edit, so I am making this post into two parts. In this first segment, I will present the Captain's words on what the job pays, schedules, the "nuts and bolts" of his profession. In part two, we'll get into some more philosophical topics and throw around some of Wells' opinions on hiring, airline weather guessing procedures, answers about whether the job is worth pursuing for young people and what he'd do if he ran FAA for one day. World of Flying: Describe your current position, flight hours, make/model you are currently flying and what you've flown in the past. 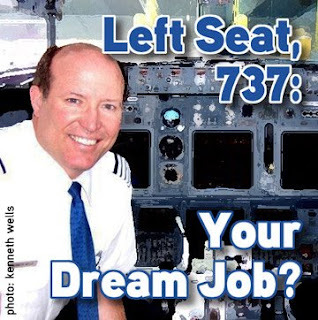 @SWA_Captain: I am a Captain at Southwest Airlines, flying the B-737/300/500/700. We fly all three versions, the classic (round dial fleet – 300/500) and the Next Generation glass cockpit auto-throttles – 700. SWA does not have any -800 or -900’s. I have over 14,000 hours of flight time. I have been at Southwest for 14 years, and was in the United States Air Force for 12 years before that, where I flew T-37’s, T/AT-38’s and F-15’s. World of Flying: Tell me what your schedule is like, days on, days off, days on a row, how far you have to commute to get to the flight deck, etc. @SWA_Captain: I have a driving commute of three hours to get to my Houston Hobby crew base. Since I only drive once a week, it’s not bad. As a fourteen year Captain in Houston (which is a pretty senior base) I bid around number 184 out of 325 Captains. Most of our monthly lines are 12-14 days, consisting of 3-days trips, usually. We have some turns (1-day), some 2-days, and some 4-days, but never more than a 4-day trip. I usually bid for straight 3-day lines, PM trips, and usually hold Wed/Thurs/Fri or Sun/Mon/Tue. Working three days a week is great, and it gives me enough time to have my own small business on the side: a landscape lighting company. World of Flying: Tell me about the pay structure on your airline. How long does it take typically to move to the left seat, and then what can a Captain earn? @SWA_Captain: Our pay structure is a little different compared to most airlines. We are paid by the “trip”, from the historic length of our first flights from DAL-HOU, which was 243 miles (DOT). So we are paid trip pay per leg, based on the mileage of that leg, with some additional factors built in for city pairings that might have additional delays on them because of ground delays (like in Philly or La Guardia). One trip equals 243 miles, or is about 50 minutes. In other words, today’s flights are: DEN-LAX/blocks 2:30 of flight time/pays 2.90 trips. LAX-SJC/blocks 1:05 of flight time/pays 1.20 trips. SJC-ONT/blocks 1:10 of flight time/pays 1.30 trips. Our pay works out like this: New hires make $46.00/trip (about $54.00/hour) and Captain pay tops out at the 12 year point where you make $174/trip which is around $204/hour. When I was hired in August of 1995, the length of time to upgrade was about 6 years. Like everyone in the industry, we have been hit by the recession/fuel prices, and also by the recent legislation raising the Captain retirement age to 65, so we have seen our pilot hiring stagnate. We are forecasting no pilot hiring for 2009 and 2010, and current upgrade times are moving out to 10-12 years to upgrade. Of course, we are waiting for economic conditions to improve, at which time we might rapidly ramp up our hiring and aircraft acquisition, and you would see the hiring numbers go up and the upgrade times come down. One great thing about SWA is that we have no airline hourly limits imposed upon us. Through picking up or dropping trips in our open-time system, trading with other pilots, etc, we can fly as little (zero trips) or as much as we want, right up to the FAA limit of 30 hrs/7days, 100 hrs/month, and 1000 hrs/year. If you just fly your average monthly line, you are flying around 80 hours per month, or 90 trips. In addition to our trip pay, we receive $2.15/hour per diem for each hour away from our domicile on a trip. We also have duty rigs that assure we are paid a minimum of 6.5 trips per day worked, or .74 trips per hour on duty, or a trip/hour ratio of 1 trip per every 3 hours away from domicile. All of these rigs are compared to the scheduled trip pay total, and you get the highest of them. We don’t do a lot of hub and spoke flying, so you will average about 4-5 legs per day, and less than one plane change per day, which is nice. Your trips will take you all over, so even though I am based in Houston, I’ll see Texas flying (the Texas Two-step), I’ll see the west coast, the east coast, and all point in between. The variety is what makes it stay fun, even after 14 years. World of Flying: What was your specific route to the left seat, how and where did you received training, and how many years did it take to make it to the left seat? @SWA_Captain: My flying career started with a college degree (USAF ROTC), Air Force pilot training, 6 yrs as a T-37 Instructor Pilot, three years as an F-15 combat pilot, 3 years as an AT-38 Instructor Pilot, and then I came to SWA. I was an FO for six years, and have been a Captain for eight. World of Flying: Since the Buffalo crash, I read about increased scrutiny at the regionals to bring their pilot training up to the same levels as the majors. Do you feel there is a difference between the training of regional pilots and majors pilots? @SWA_Captain: The biggest difference between regional airlines and the majors is not training, it is simply flight experience. SWA requires all applicants to have an ATP and a B-737 type rating. We also require experience as the Captain/Pilot-in-command in turboprop and turbojet aircraft. The regional airlines don’t require as many flight hours or an ATP, so the experience level for new hires will be less. All the training itself is going to be quality, and it is overseen by the FAA. The bottom line is that regional pilots are going to be less experienced when they are first hired, but will build their experience as they fly. Regional Captains used to be upgraded as fast as in a year to a year and a half, but I don’t think that is the case now, as everyone’s hiring has slowed down with the recession. Remember, things have changed from the way they used to be. Regional airlines used to pay $15,000-$30,000 per year and have quick upgrades because they had a lot of transition as pilots left for the major airlines as soon as they had enough hours. Now, when no one is doing a great deal of hiring, the movement is not nearly as much. Part two of this interview with Captain Wells coming soon. Might as well bookmark this page now and send the link to all your flying friends so they can get this valuable info too. Disclaimer: The opinions expressed in this interview are those of Captain Ken Wells alone, and not necessarily those of Southwest Airlines or the Southwest Airlines Pilots Association.